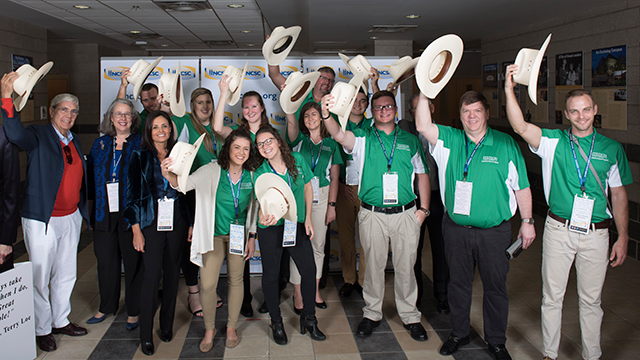 Tryouts for Stetson’s Centurion Sales Program Competition Team are now open! The National Collegiate Sales Competition (NCSC) is the longest running university sales roleplay competition in existence. The NCSC undergraduate competition is a basic sales call skills challenge. The competition format is an elimination-style tournament where all participants compete in the opening round. Contestants are evaluated based on specific judging criteria to determine who moves on and who gets eliminated. The NCSC participants come from the most elite sales programs across the country. In this year’s competition, students from over 50 competing universities will be vying to win in this highly competitive environment. In addition to the sales competition, the event boasts an exclusive sales career fair and other networking activities where corporate partners preview, network and recruit high-caliber collegiate sales candidates like you. More than 50 companies will participate in this year’s NCSC career fair. Don’t miss this tremendous opportunity and the chance to receive incredible job offers. Interested in earning a spot on the Centurion Sales Program team? If you think you have what it takes and are willing to put in the work to make the team, submit the online interest form by Friday, February 1, 2019! For more information, please contact Dr. John Riggs at jriggs@stetson.edu.